Studio Bordewijk has defined more than 25 food trends for 2018, that will influence our shopping, cooking and eating behavior in the coming years. We will share five of them in this blog. We already wrote elaborately about the plant based kitchen and vegan trends. The vegan/vegetarian trend will continue and is definitely ‘ to stay ‘ over the next few years. In 2018 we put it back in the limelight as ‘ Botanical dining ‘. This term places the richness of the vegetable kitchen central. It’s not only about vegetables but emphasizes the large variety of algae, fruits, flowers, mosses, mushrooms, herbs and spices that the edible flora brings us. In recent years naturalness was hot. Having everyone its own definition for it. From organic, lots of vegetables, without E-numbers or cooking without packs and pouches. Producers anticipated on this idea by telling about the growth or production method of the food product. Often a photo of the grower was proudly presented on packaging. But with an ever growing population on this earth we might need to take some distance from this romantic idea. There is more and more smart technology that makes it possible to help nature and produce our food in a more planet friendly way. This is what we call ‘ high tech nature ‘ and is about the smart cultivation of fruit and vegetable crops with sophisticated led light recipes and without soil. So called ‘precision agriculture’ makes it possible to look to individual plant health resulting in a decreased use of pesticides or fertilizers. More farms will generate their own energy and packaging packing material form agricultural waste. The Netherlands is seen as a frontrunner in these developments, with the University of Wageningen at the centre of our food valley. We already heard a lot about seaweed, but algae are also an interesting food source in future. 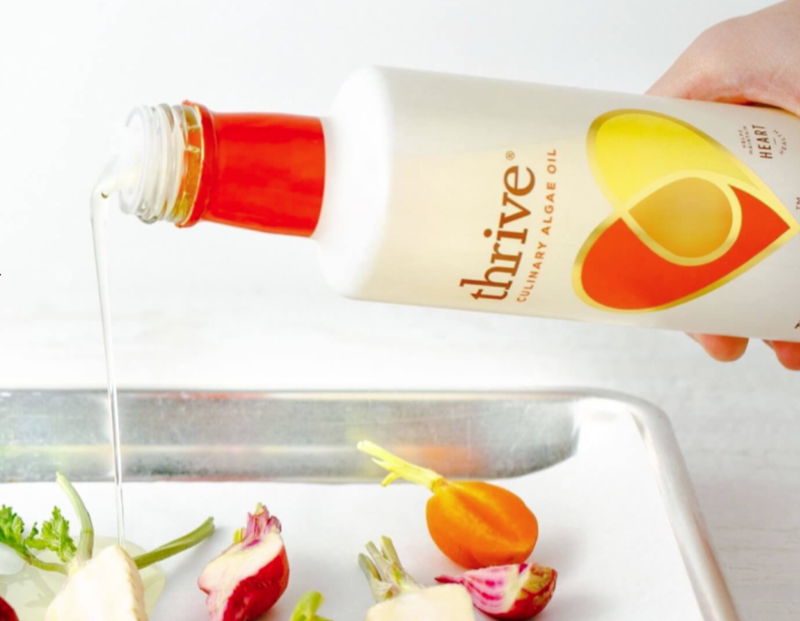 In San Francisco, the company Thrive wins oil from algae and turns it into a new cooking oil, which can be used instead of butter or margarine. It is particularly rich in omega 3 fatty acids, has a high burning temperature and needs far less areal than palm or olive oil. So that makes it a typically example of a high tech nature product. The realization that we need to eat more vegetables is growing. The Dutch Nutrition Centre has increased the recommended amount of 150 grams vegetables to 250 grams a day. That means that we will have to eat veggies all day, not only during dinner time. From Breakfast to lunch and from in-between nibble to late light snack. Producers are responding to this insight with products that incorporate veggies in a smart way. Seeing a growing range of veggie product like red beet pasta, cauliflower pizza, carrot wraps and brownie zuchini mixes. The amount of carbohydrates and calories is reduced and the amount of fiber and vitamins increased. So did the prize winning Boboli Veggie Focaccia recently. We are also going to drink more and more vegetables. In America, the shelves were already full of Gazpacho’s this summer. Inspired by the classic Spanish tomato soup but now extended to a shelf with all colours of the rainbow. From a green avocado-cucumber-gazpacho to a purple beet-root-gazpacho. Vegetables are also increasingly used as a flavour variant. Like yoghurt with carrot or pumpkin pulp. There are even chocolate bars with broccoli and tomato. But that is perhaps a step too far. More and more restaurant are designing their food in a way, that is worth sharing on social media. A powerful marketing tool to attract new guests to their place. Curious about the whole story and all food trends for 2018? Consider a trendconsult. Do you have innovation plans? 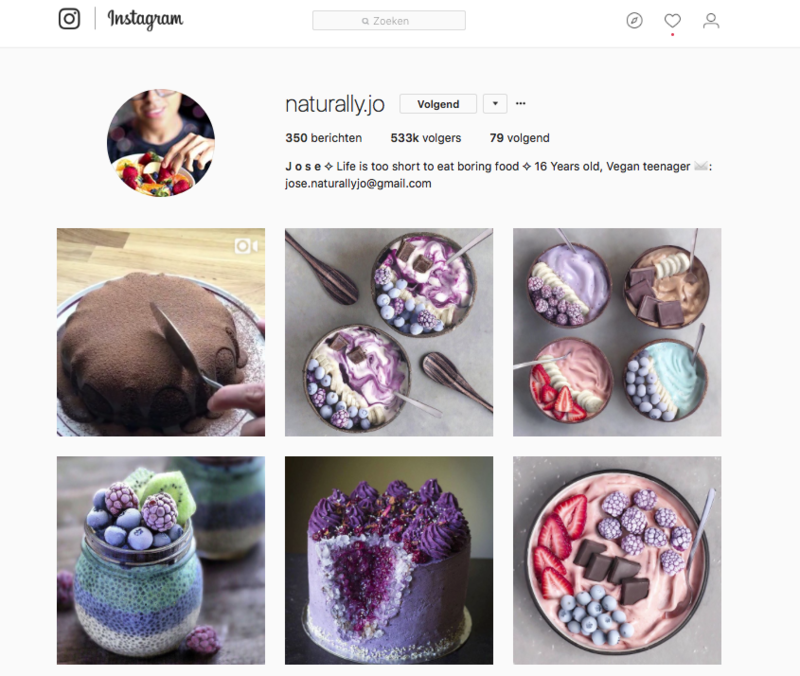 … Please do not hesitate to contact food designer and trend watcher Marielle Bordewijk. She tells you all about the newly developed innovation method FoodbyDesign. 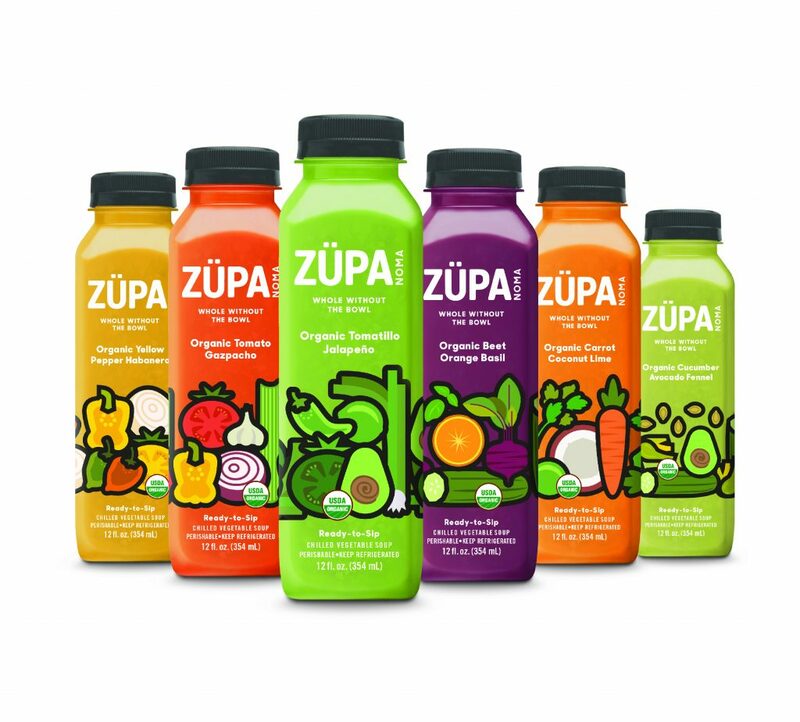 Foodtrend 2018 Veggies everywhere, drinkable gazpacho soup of the brand Züpa.